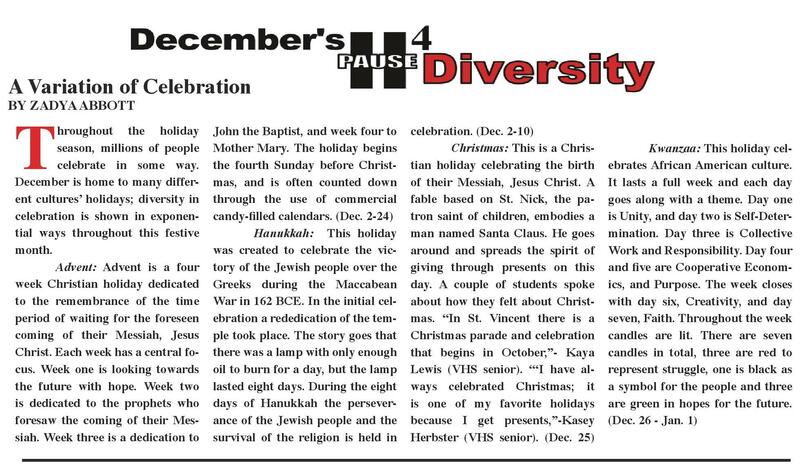 Broadcaster Press 9 December 25, 2018 www.broadcasteronline.com DECEMBER 2018 VERMILLION.K12.SD.US VERMILLION HIGH SCHOOL’S STUDENT NEWSPAPER A Variation of Celebration T by ZADyA AbbOTT hroughout the holiday season, millions of people celebrate in some way. December is home to many different cultures’ holidays; diversity in celebration is shown in exponential ways throughout this festive month. Advent: Advent is a four week Christian holiday dedicated to the remembrance of the time period of waiting for the foreseen coming of their Messiah, Jesus Christ. Each week has a central focus. Week one is looking towards the future with hope. Week two is dedicated to the prophets who foresaw the coming of their Messiah. Week three is a dedication to John the baptist, and week four to Mother Mary. The holiday begins the fourth Sunday before Christmas, and is often counted down through the use of commercial candy-filled calendars. (Dec. 2-24) Hanukkah: This holiday was created to celebrate the victory of the Jewish people over the Greeks during the Maccabean War in 162 bCE. In the initial celebration a rededication of the temple took place. The story goes that there was a lamp with only enough oil to burn for a day, but the lamp lasted eight days. During the eight days of Hanukkah the perseverance of the Jewish people and the survival of the religion is held in celebration. (Dec. 2-10) Christmas: This is a Christian holiday celebrating the birth of their Messiah, Jesus Christ. A fable based on St. Nick, the patron saint of children, embodies a man named Santa Claus. He goes around and spreads the spirit of giving through presents on this day. A couple of students spoke about how they felt about Christmas. “In St. Vincent there is a Christmas parade and celebration that begins in October,”- Kaya Lewis (VHS senior). 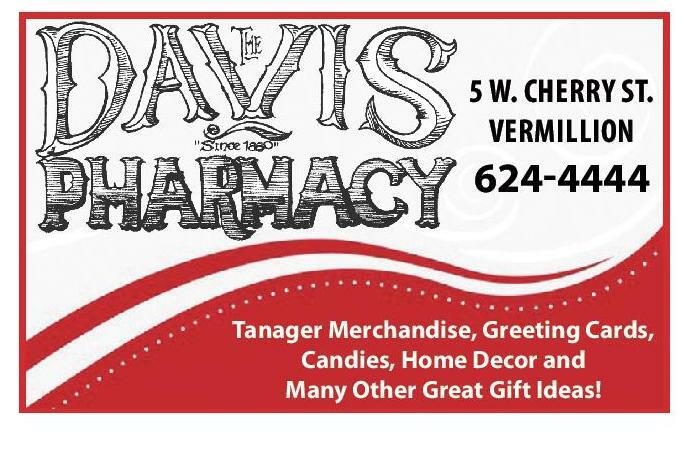 “‘I have always celebrated Christmas; it is one of my favorite holidays because I get presents,”-Kasey Herbster (VHS senior). 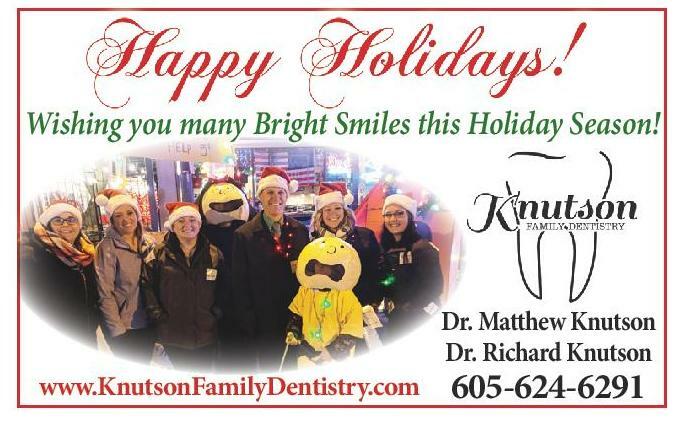 (Dec. 25) Wishing you many Bright Smiles this Holiday Season! Breakfast @VHS www.KnutsonFamilyDentistry.com Submit your story ideas for the Vermillionaire by sending an email to Justin.Brunick@k12.sd.us Dr. Matthew Knutson Dr. Richard Knutson 605-624-6291 by KALIE PUCKETT T Maple Mornings logo designed by Natalie Kaufman (senior) and Justin Brunick (Graphic Design Advisor) Kwanzaa: This holiday celebrates African American culture. It lasts a full week and each day goes along with a theme. Day one is Unity, and day two is Self-Determination. Day three is Collective Work and Responsibility. Day four and five are Cooperative Economics, and Purpose. The week closes with day six, Creativity, and day seven, Faith. Throughout the week candles are lit. There are seven candles in total, three are red to represent struggle, one is black as a symbol for the people and three are green in hopes for the future. (Dec. 26 - Jan. 1) his year Mrs. Sarah Armbrust, Culinary Arts and Family Sciences Teacher at Vermillion High School, decided to create a new culinary class pertaining to restaurant management and service. They named their restaurant, Maple Mornings. The class, consisting of eight students, proposed to bring back a Thursday morning breakfast. Each month, on the first Thursday, these students get together and cook a hearty breakfast for students and teachers. 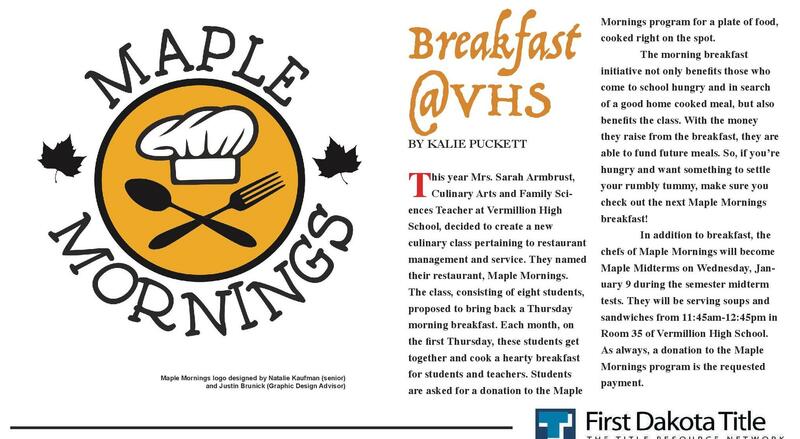 Students are asked for a donation to the Maple Mornings program for a plate of food, cooked right on the spot. The morning breakfast initiative not only benefits those who come to school hungry and in search of a good home cooked meal, but also benefits the class. With the money they raise from the breakfast, they are able to fund future meals. So, if you’re hungry and want something to settle your rumbly tummy, make sure you check out the next Maple Mornings breakfast! In addition to breakfast, the chefs of Maple Mornings will become Maple Midterms on Wednesday, January 9 during the semester midterm tests. 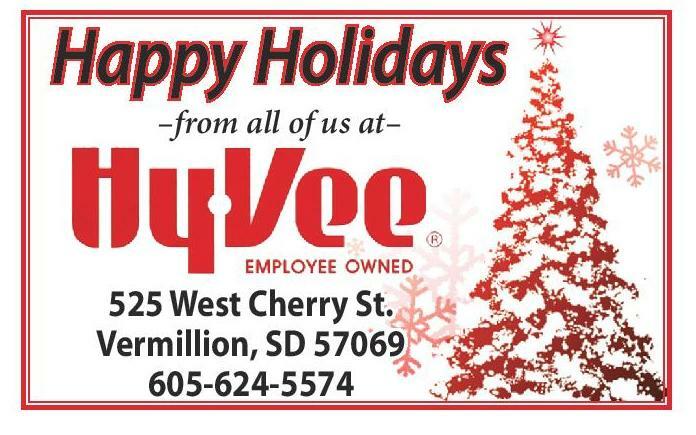 They will be serving soups and sandwiches from 11:45am-12:45pm in Room 35 of Vermillion High School. As always, a donation to the Maple Mornings program is the requested payment. 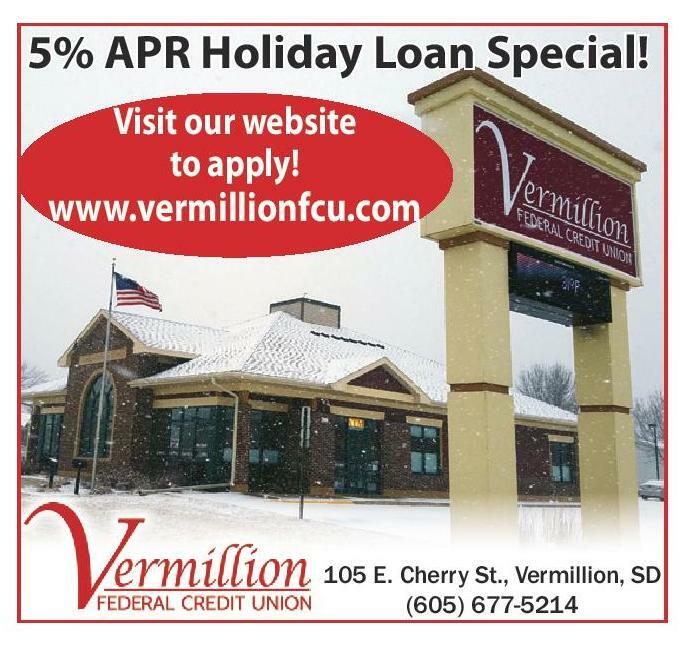 PRO-LIFE CLUb Happy Holidays –from all of us at– 525 West Cherry St. Vermillion, SD 57069 605-624-5574 5% APR Holiday Loan Special! Visit our website to apply! 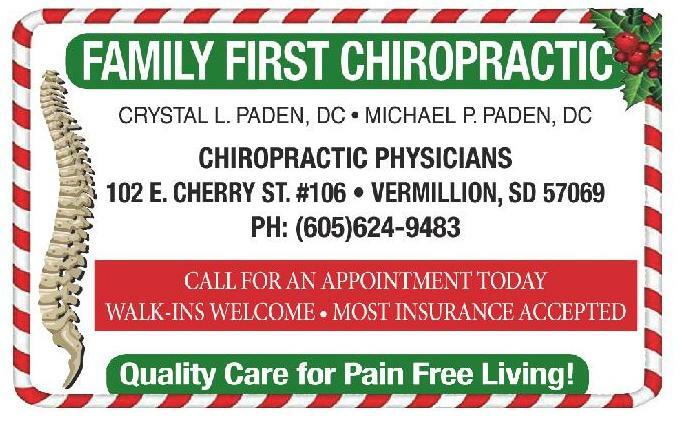 www.vermillionfcu.com 105 E. Cherry St., Vermillion, SD (605) 677-5214 by HANNAH TURNER T he Pro-Life club is one of the many clubs available for students to join at Vermillion High School. The students involved stand up against abortion and for the right to life of unborn babies. There are many different things that pro-life volunteers for and does for the community. They are often involved with church related activities and spend lots of their time volunteering, hosting fund raisers and advocating for what they believe in. The club often volunteers at churches and they have hosted pancake feeds, which typically take place after church mass. 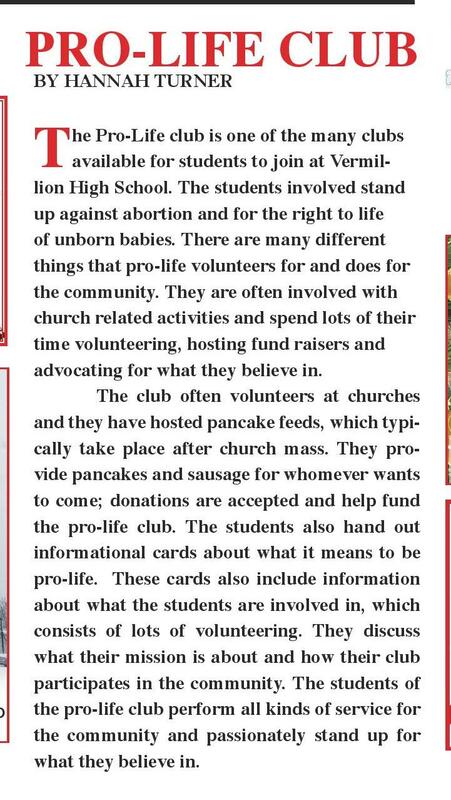 They provide pancakes and sausage for whomever wants to come; donations are accepted and help fund the pro-life club. The students also hand out informational cards about what it means to be pro-life. These cards also include information about what the students are involved in, which consists of lots of volunteering. They discuss what their mission is about and how their club participates in the community. The students of the pro-life club perform all kinds of service for the community and passionately stand up for what they believe in. 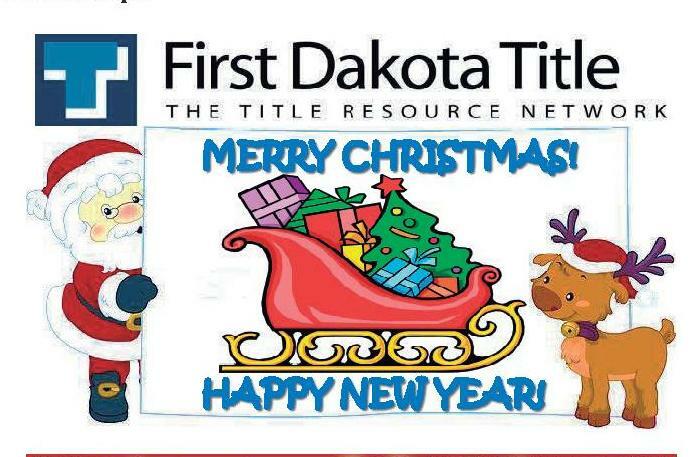 from 1216 E. Cherry St., Ste. 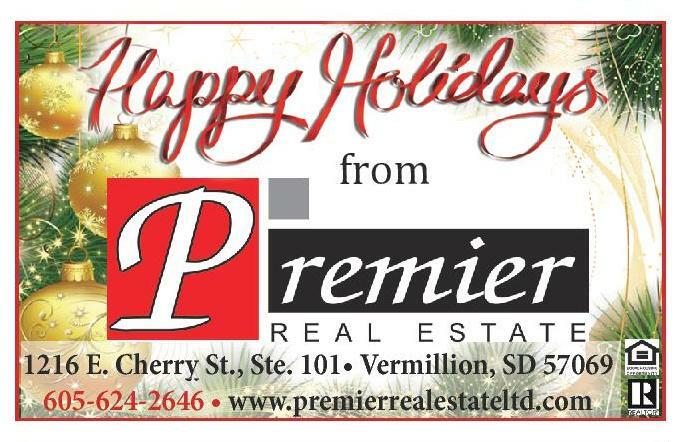 101• Vermillion, SD 57069 605-624-2646 • www.premierrealestateltd.com 5 W. Cherry St. Vermillion 624-4444 Tanager Merchandise, Greeting Cards, Candies, Home Decor and Many Other Great Gift Ideas!